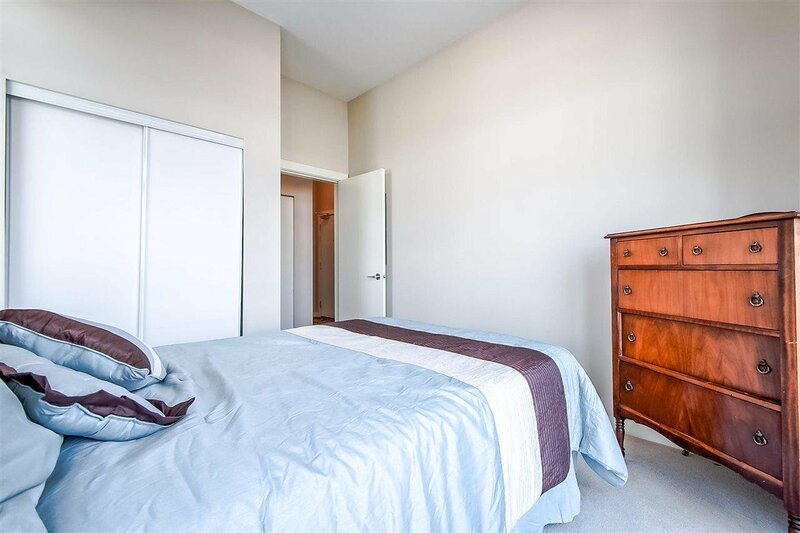 Quattro 2 opened to tremendous fanfare & this corner suite was one of the first snapped up. 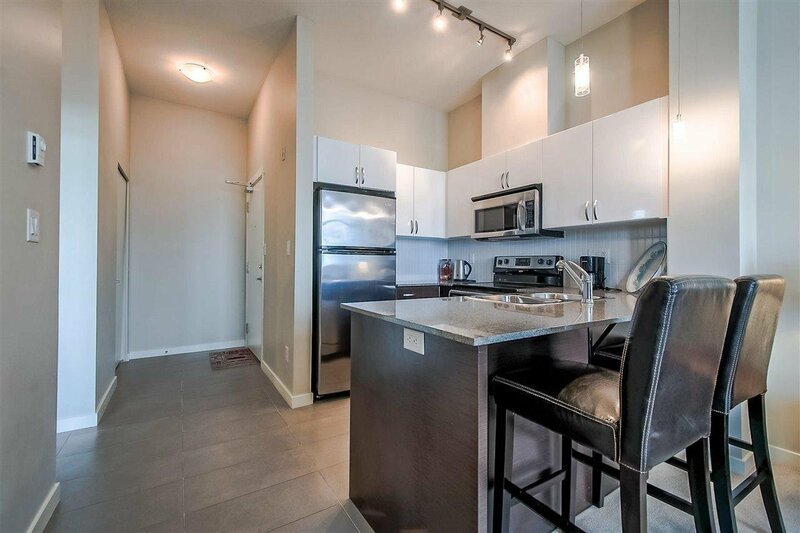 The tile foyer flows into the open kitchen w/ granite capped espresso cupboards contrasted by gleaming white upper cabinets & a white tile backsplash all wrapping around stainless appliances. 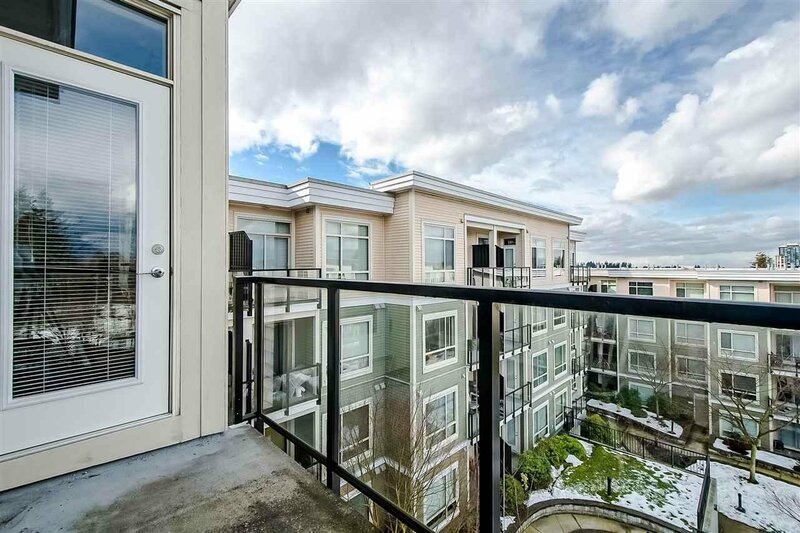 Soaring ceilings give way to the window transom over the patio door & the partial mountain view w/ a northwestern exposure. 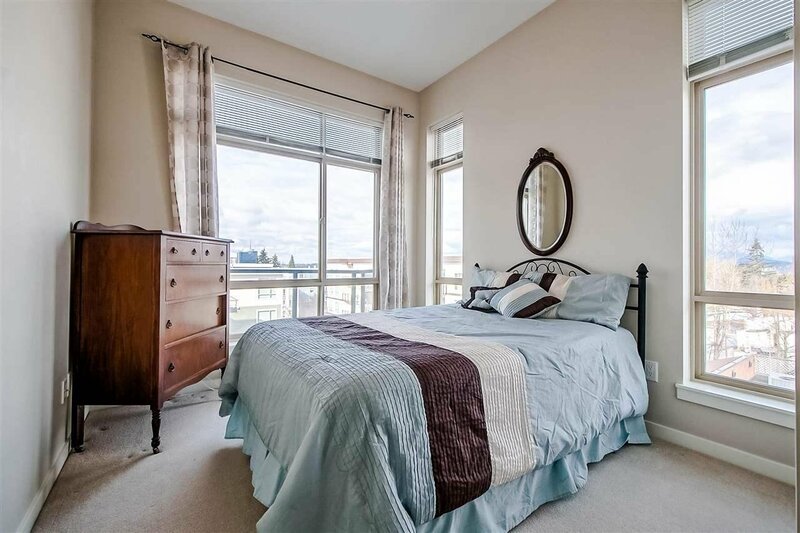 The master bedroom takes advantage of the same vistas w/ windows on 2 sides of the room. 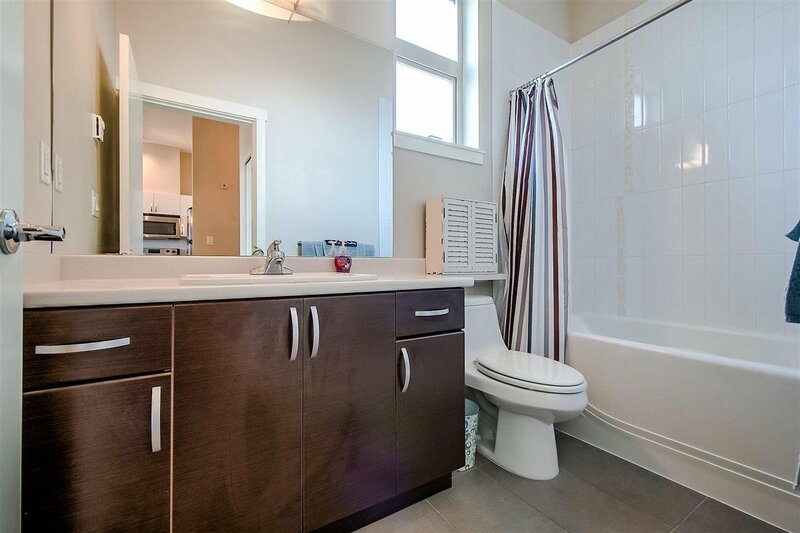 Even the spacious bathroom has an opening window beside the shower with a contemporary white tile surround. 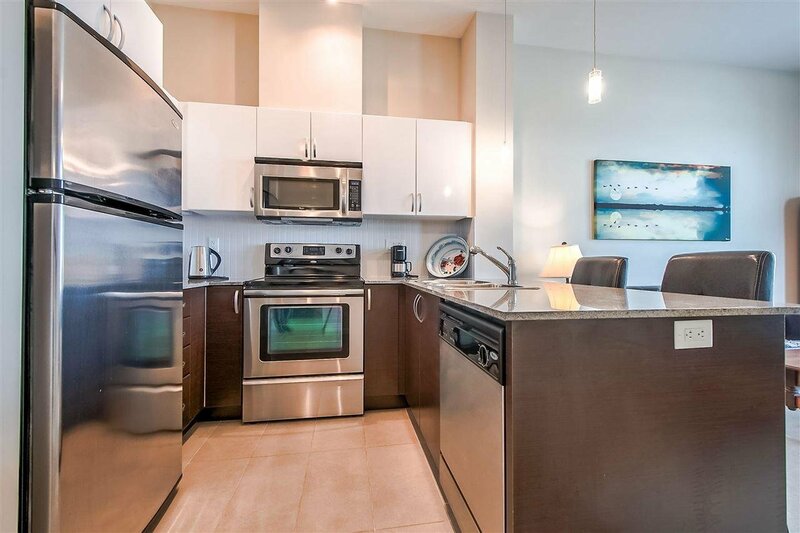 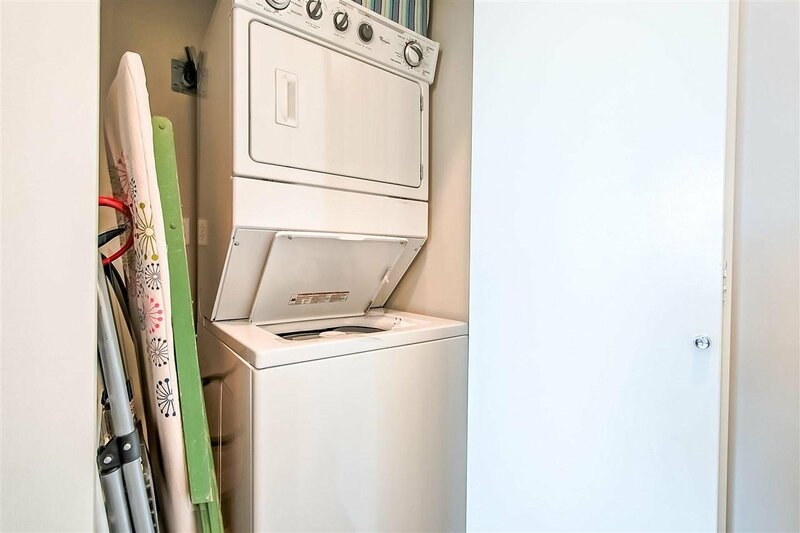 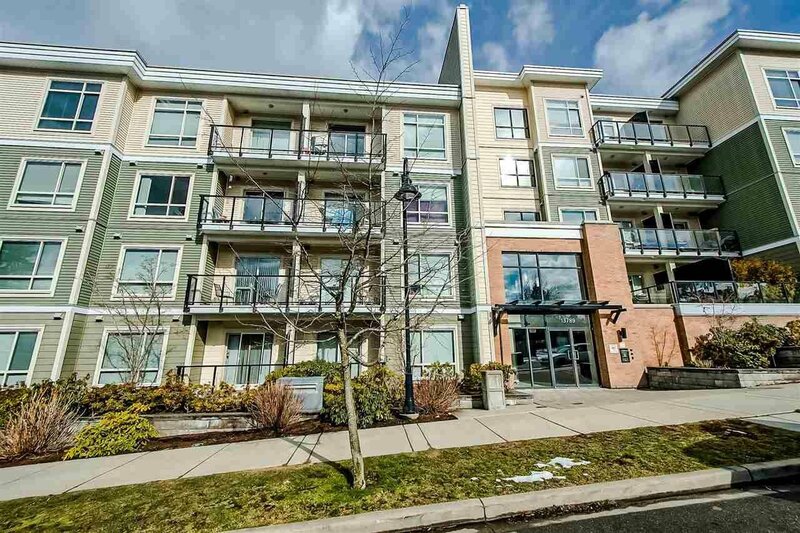 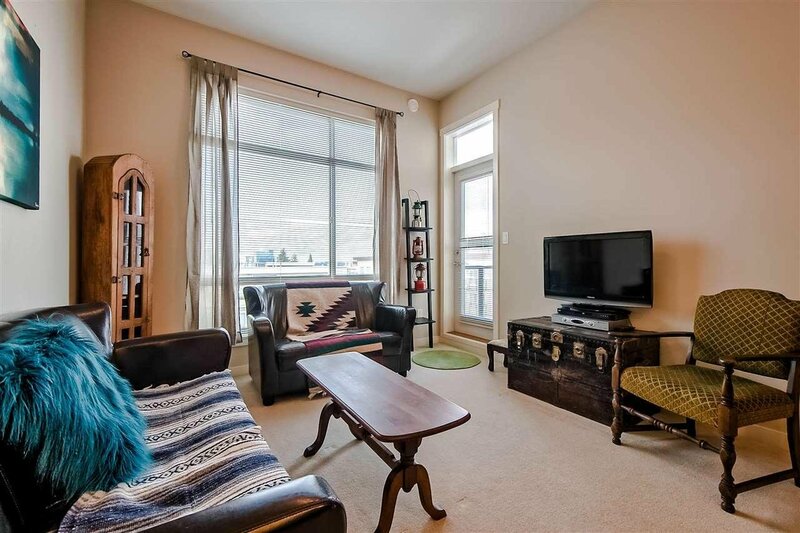 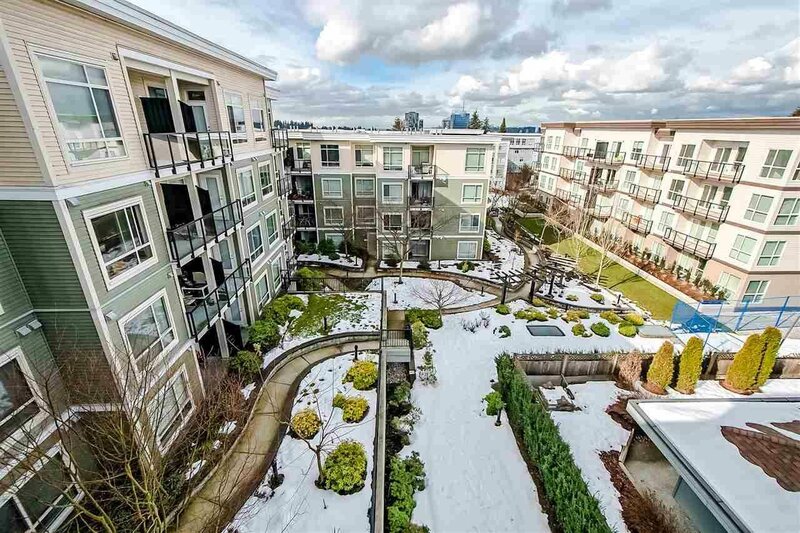 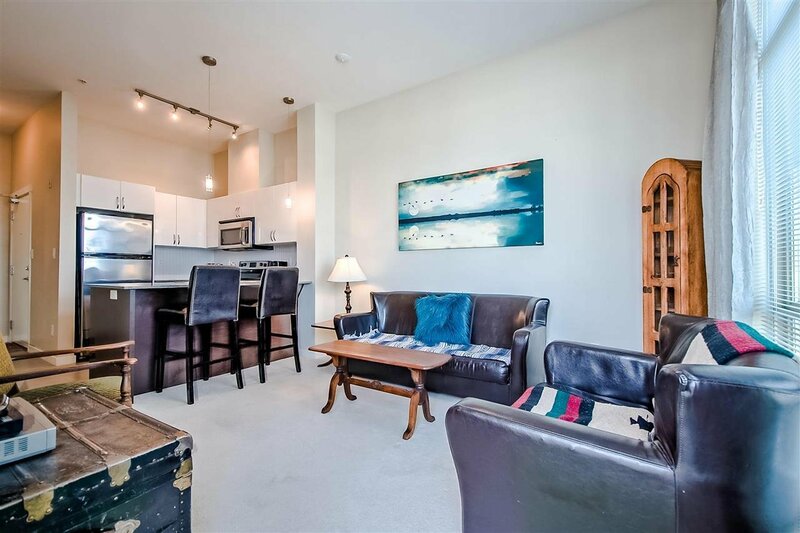 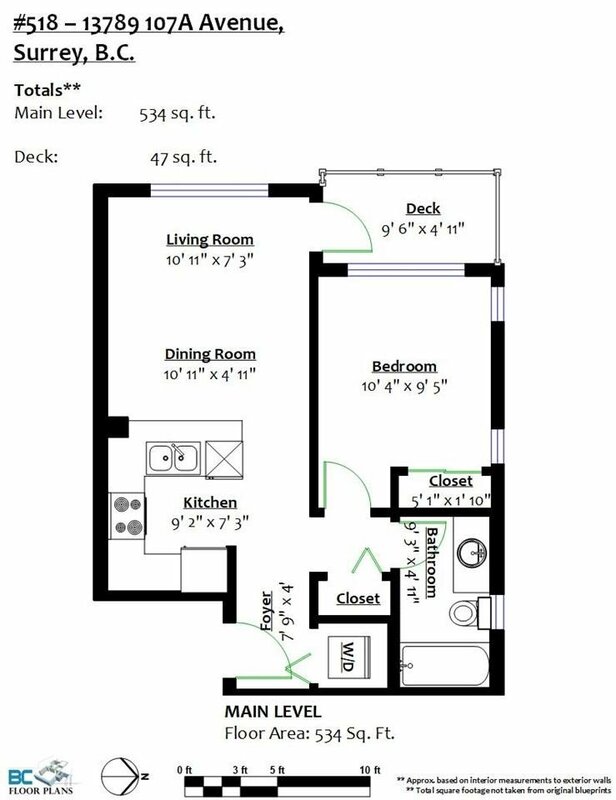 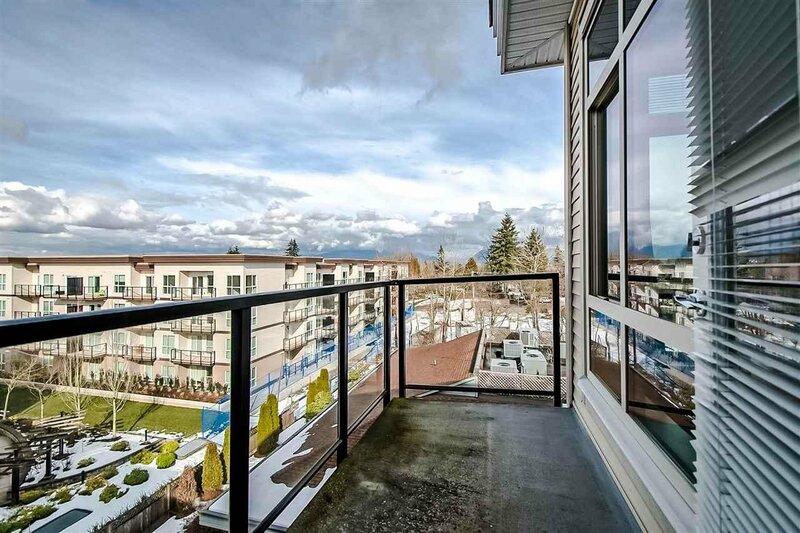 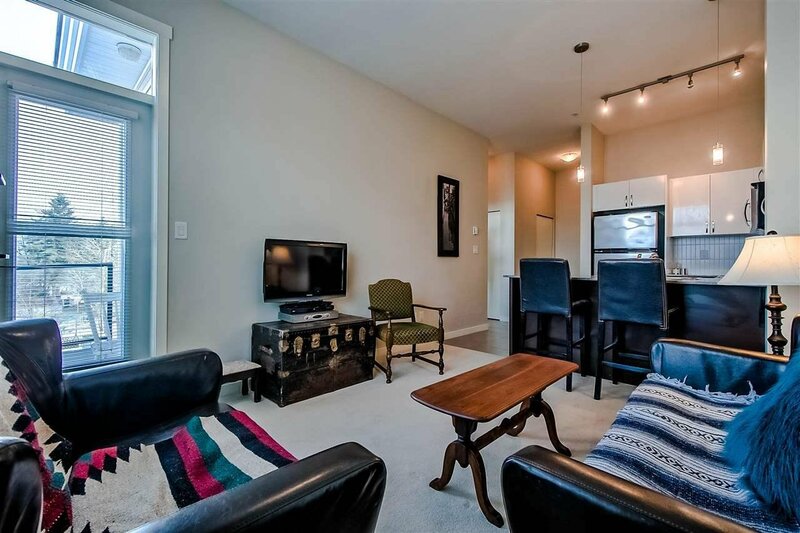 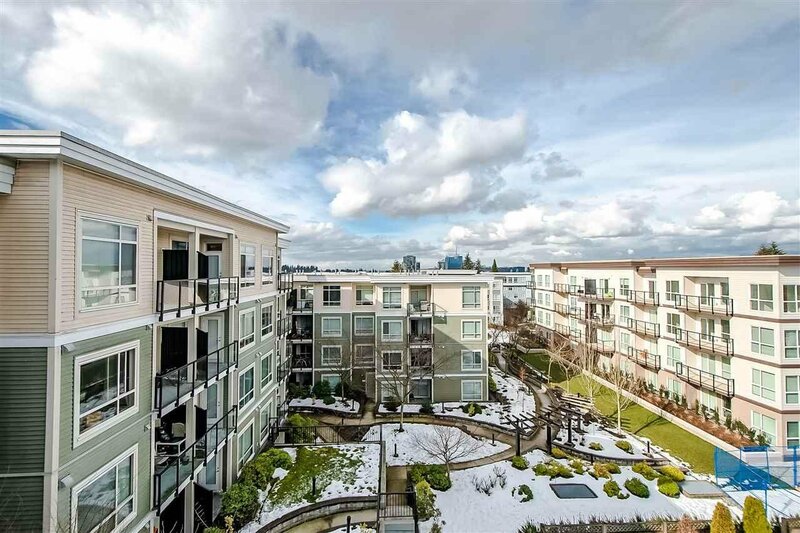 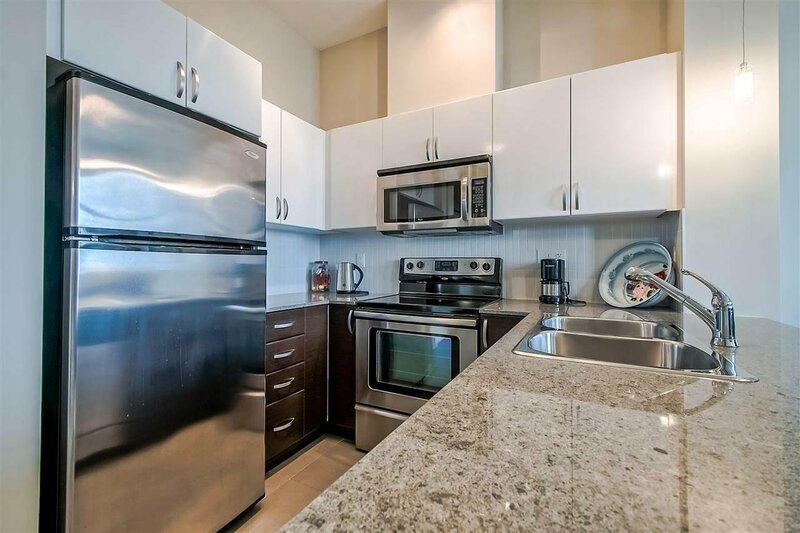 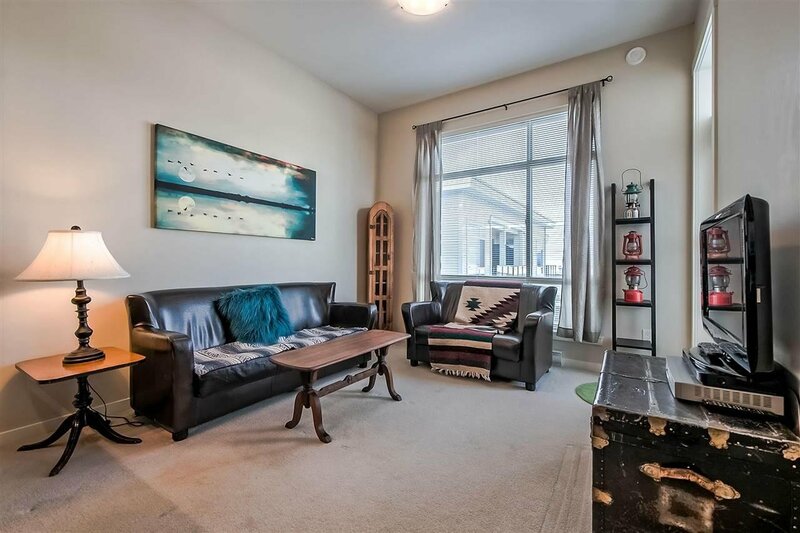 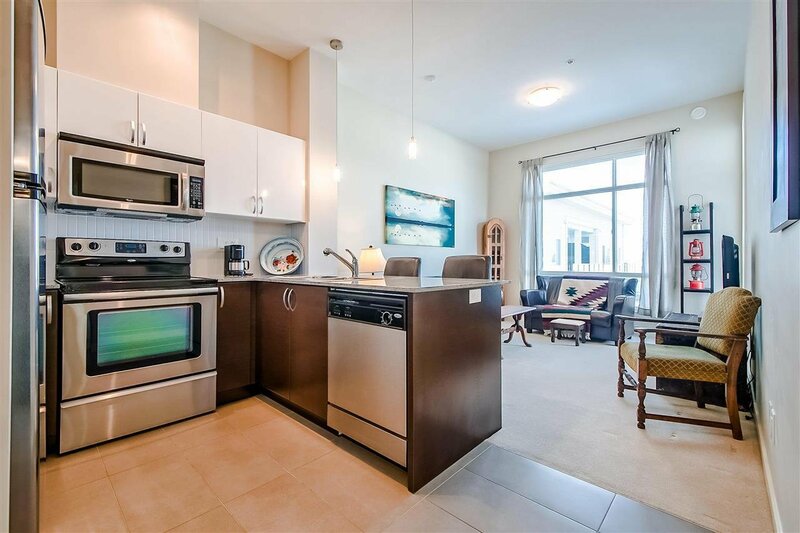 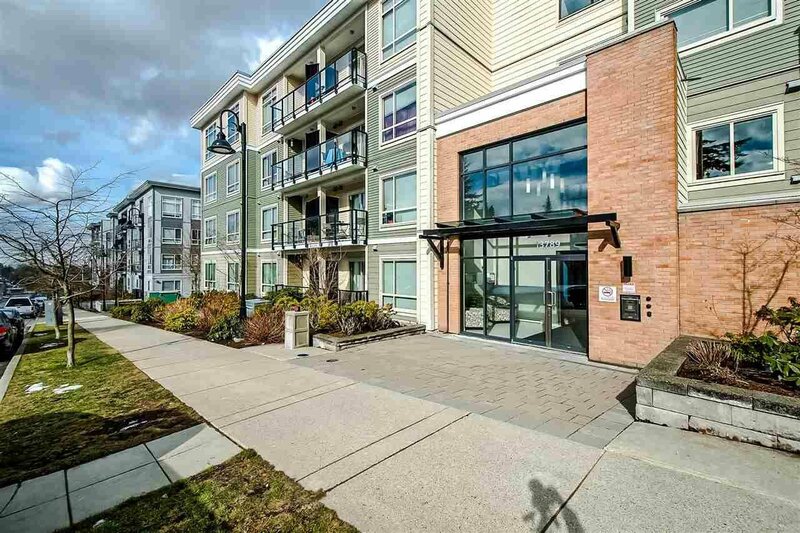 This convenient location is walking distance to Gateway Skytrain, shopping & restaurants. 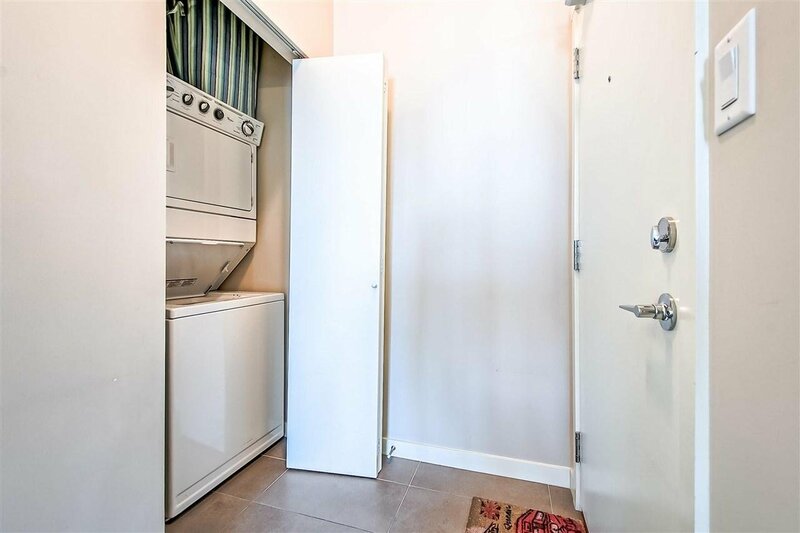 1 Parking / 1 Locker.